The CAPM and Portfolio Theory are decades-old concepts in Finance that deal with the theory of how investors price assets and how they can maximize value by putting all these assets in a portfolio. In recent times, these concepts have been adapted by regulators in the case of the CAPM and by reform-minded thinkers in the power sector in the case of Portfolio Theory. What the CAPM developers did to measure this premium was to say that if the investors were to invest in the ENTIRE market of assets, then the return of the ENTIRE market would accurately reflect the correct return for the risk for the ENTIRE market. The measure of this risk was called “beta.” So the ENTIRE market will have a “beta” of 1. 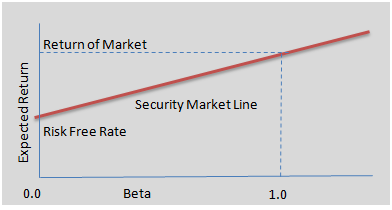 Individual assets that were more risky than the entire market should have a beta greater than 1, while those that were less risky will have a beta of less than 1. Tests were conducted across different markets to see whether investors followed or behaved according to the “theory of the CAPM.” As it will be impossible to measure all classes of assets, the country’s stock market was used to test the validity of the CAPM. In general, scientists and economists found that the CAPM works in markets that are “efficient.” The term “efficient” here is defined as a market where the price of the stock reflects all available information related to the stock or company. In other words, these are stock markets where insider trading is strictly prohibited. Clearly, only the markets of the more developed markets were seen to be efficient, making the CAPM generally valid. So, when these countries’ energy regulators use the CAPM as a way to measure allowable equity returns for regulated entities, the results are generally accepted by the investing public. As previous studies have shown, the CAPM will not work in non-efficient markets. Based on Prof. Aquino’s findings then, it can be safely concluded that the CAPM will not work here in the Philippines. Furthermore, a cursory check with the PSE will reveal that it does not calculate betas for the stocks in the exchange. The fact that the PSE does not calculate the betas says many things for me. One can calculate the betas of these stocks;however, these are only linear regressions anyway. As such, the validity of the results would be in question. Any statistician can tell you that a regression analysis can be done between two random numbers over time. But whether these random numbers are indeed random and not subject to any manipulation can determine the meaningfulness of the results of this analysis. It is therefore important for the Energy Regulatory Commission to be absolutely critical in using the CAPM in regulating the power sector. In fact, using any first world tool for financial analysis can be literally deadly for poor countries like the Philippines. We, as a country, cannot afford to use sophisticated tools when only basic tools are required. If the CAPM determines that the appropriate discount rate is 15%, then the Net Present Value (NPV) will always choose Investment 1 as the preferred investment. The problem arises when the investment is for a basic necessity like water or power. One can imagine that with the first investment, the people may no longer be around when the P10M comes. So, what use is the money if the intended beneficiaries are dead due to, for example, dysentery or tuberculosis? Of course, my example is an extreme one, a hyperbole. But this is an argument I have made many times whenever I had to present power projects to the National Economic and Development Authority (NEDA) during my time in government. By putting a “cut-off” of 15% Internal Rate of Return or IRR, the government has created what people in finance call “credit rationing.” This is the situation where more meritorious projects, those with returns that are commensurate to their risks are not pursued because of an arbitrary number like the IRR of 15%. In conclusion, we have to be very careful when using “first world” financial tools in a country like the Philippines. If we succumbed to this during my time in NPC, many projects will not get done. Foremost among such projects would be the Mindanao Coal project and San Roque Hydropower Project. “First world” financial tools seemed to show these projects were not viable. We could not accept these financial tools in a situation where our people were suffering far beyond what the capitalist markets could predict. Breakdown of markets such as what we experienced are indeed clear indications that even supposedly strong economies like the United States and the European Union can fall prey to these tools. The CAPM is a good tool but like any good tool, we should know how to use it properly. Otherwise, this good tool can become a murder weapon literally slashing away any investment that may be needed in the power sector. How does the CAPM connect with the Portfolio Theory and how these concepts are applicable to the Power Sector? Let’s discuss this next time. ← Take a bullet for your company?